Shepards Beads is Nancy Shepard Moseley & Lisa Shepard Widell – a mother-daughter team living on the island of Maui. The duo has used their artistic talents to create uniquely beautiful one-of-a-kind pieces. 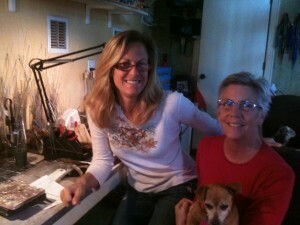 Nancy and Lisa began Shepards Beads in 1989, creating handmade polymer clay beaded jewelry. Over the last 20 years they have evolved. Nancy continues to work with polymer clay, designing intricate kaleidoscopic patterns that she then uses in a variety of ways. Her favorite creation is her Hawaiian Collection of aloha shirts and muu’muus. These little sculptures brought about enlarging the patterns, actually making material and producing lovely scarves and sarongs. Lisa still works with the polymer, but her main focus is lampwork glass beadmaking. 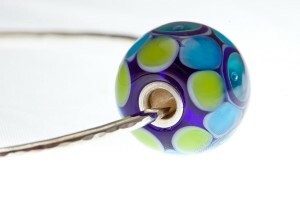 Using the ancient Italian method of lampworking, Lisa creates beautiful glass beads. Taking glass rods, she melts the tips, applies glass to a mandrel, creating a core bead. Then she decorates the bead with dichroic glass, frit, her handmade murrinis and stringers. Combining her lovely glass beads with swarovski crystals, freshwater pearls, semi-precious stones, 14kt. gold fill, 24kt. gold vermeil and sterling silver, she designs her one-of-a-kind jewelry pieces. Each piece of jewelry adds a splash of color and finishing touch to any outfit. All of Nancy and Lisa’s creations are unique, handmade and a pleasure to create.